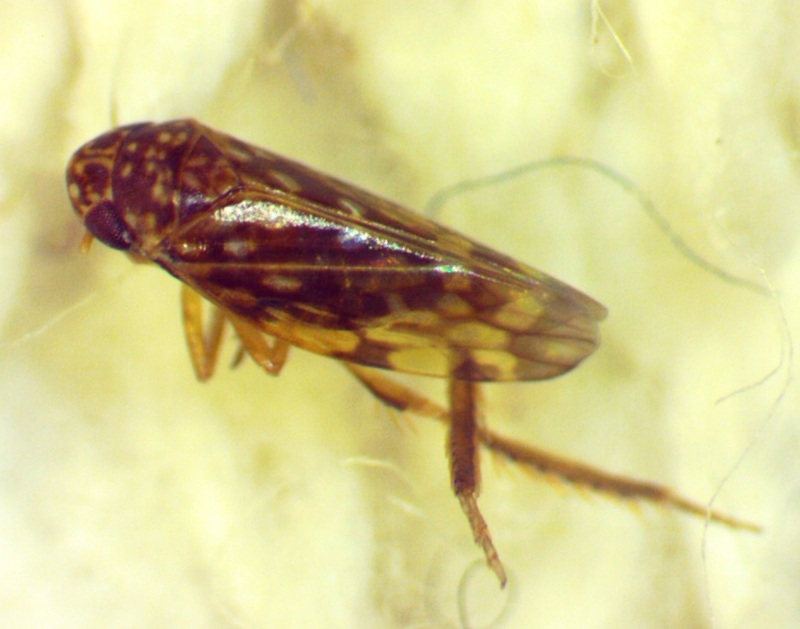 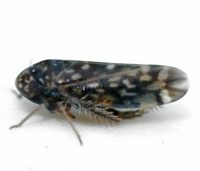 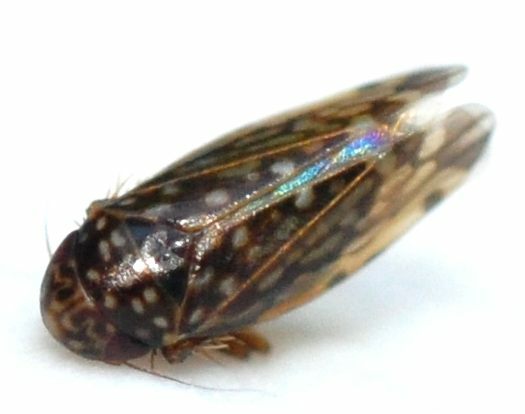 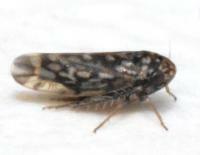 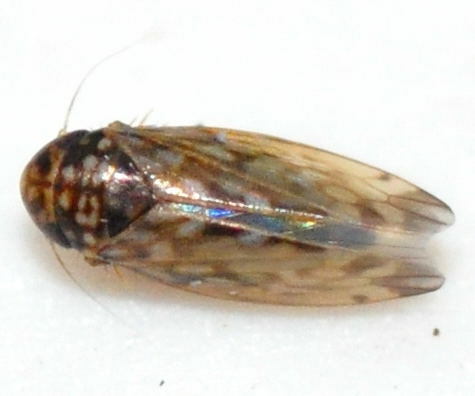 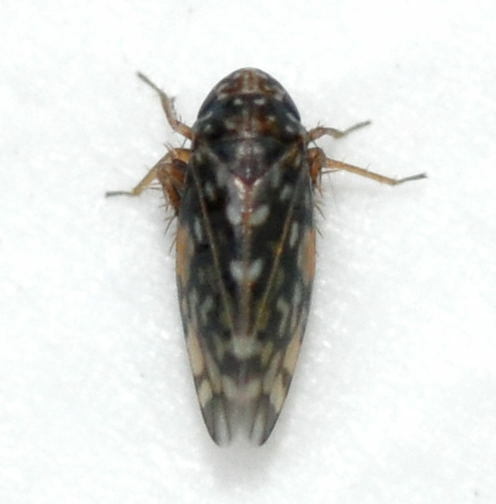 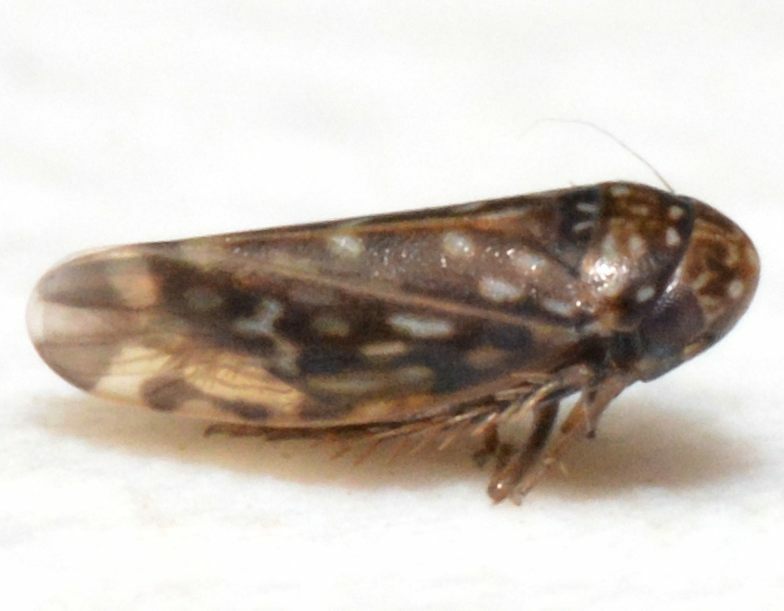 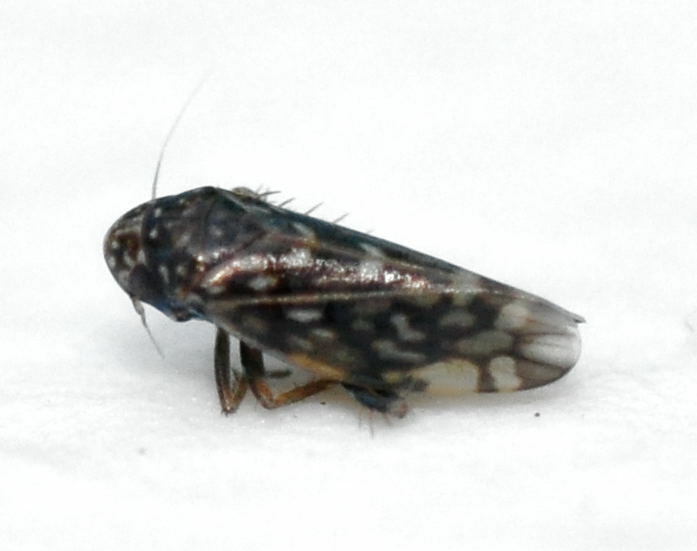 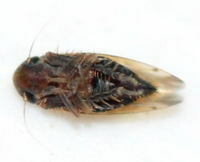 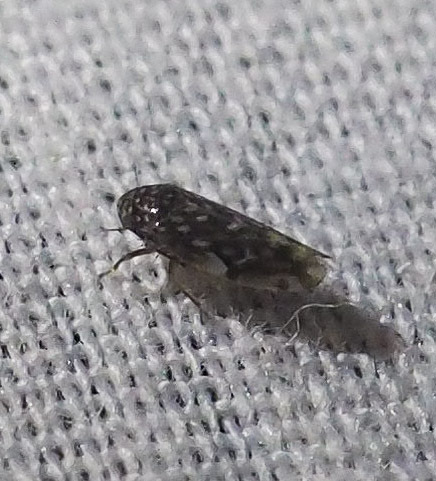 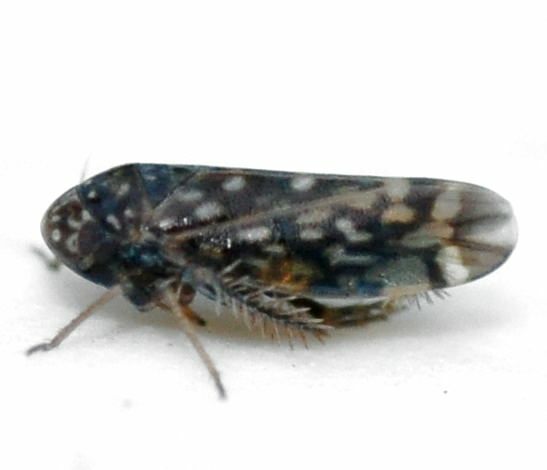 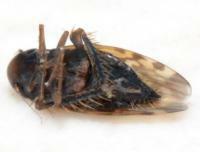 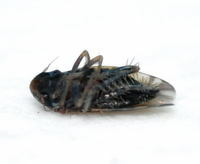 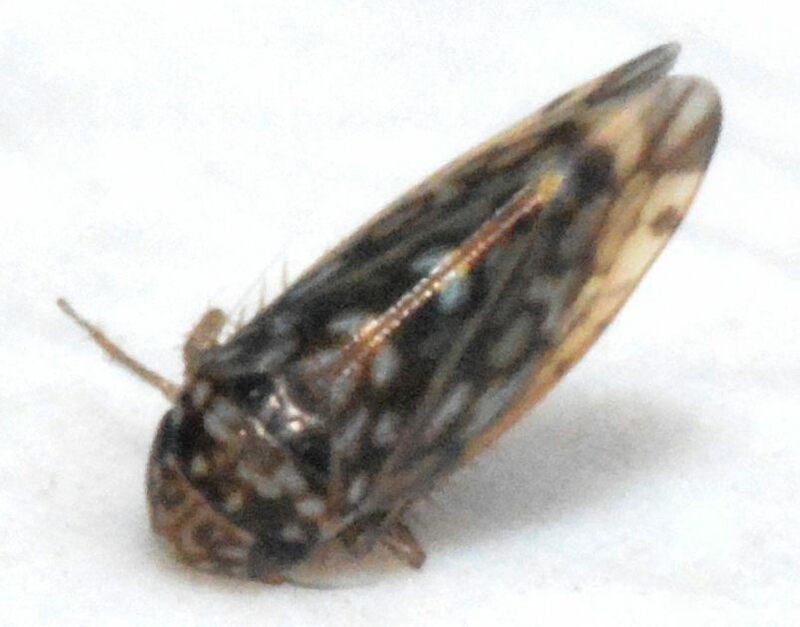 Description: A fairly small, dark brown leafhopper with a wing pattern similar to other members of this genus, mottled with white spots. 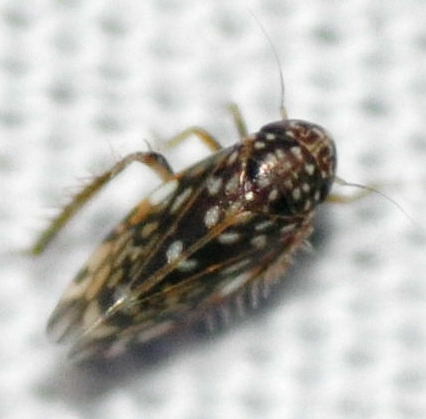 The vertex is brown with many small pale-yellow or white spots. 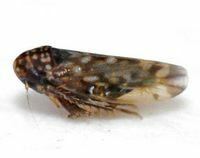 However, the middle wing tip cell has a white spot on the edge, with a dark base (this contrasts with the similar X. similis) (BG). 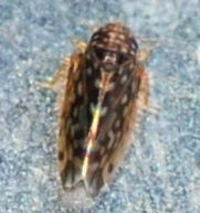 There is variation however among individuals, so color pattern can be different among different individuals. 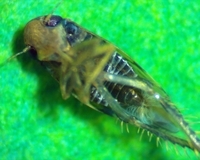 This species also has parallel pale lines along the midline of the head that end in curved, diverging lobes. Adults are typically in the range of 2.5-3.0 mm long. 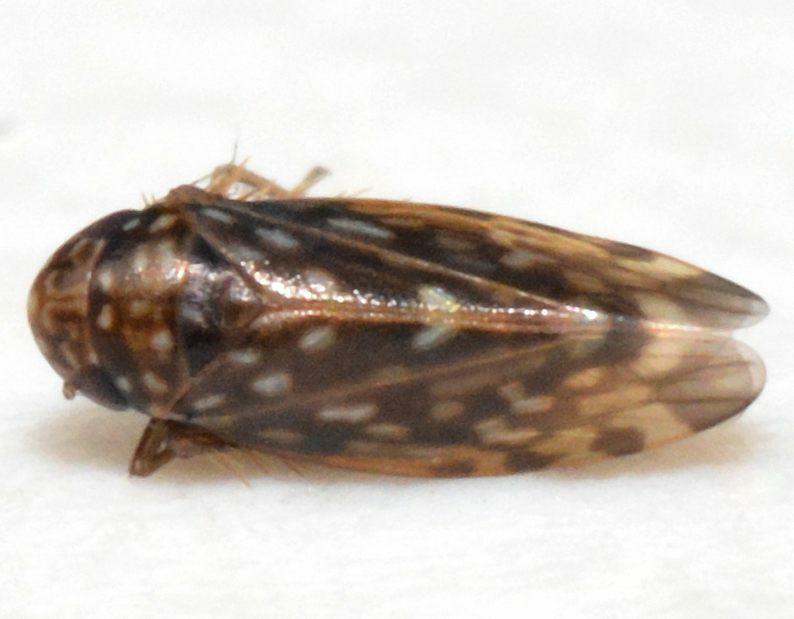 Distribution: A common northern species, it has been recorded across the country, with a majority of records coming from the northeast and midwest (Bugguide). Abundance: Recorded recently from several counties in the Piedmont and coastal plain, but probably more numerous in the right habitat; where present, it appears to be locally common. 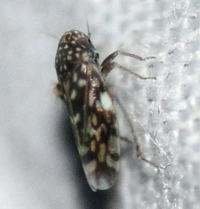 Habitats: Has been recorded in mixed hardwood forest habitat.